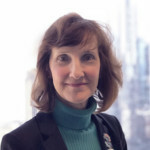 Note: Don’t miss our next WEGG webinar 7/13 on “China Exports: Growing Brand Recognition Locally First,” and presented by expert Nicole àBeckett, President of Mercatura Global. Register here: https://attendee.gotowebinar.com/register/1045496295028407041. Event is no charge but you must register in advance to attend.